Love the look of those teeny tiny spaghetti straps? Making your own rouleau straps is a lot easier and faster than you think! 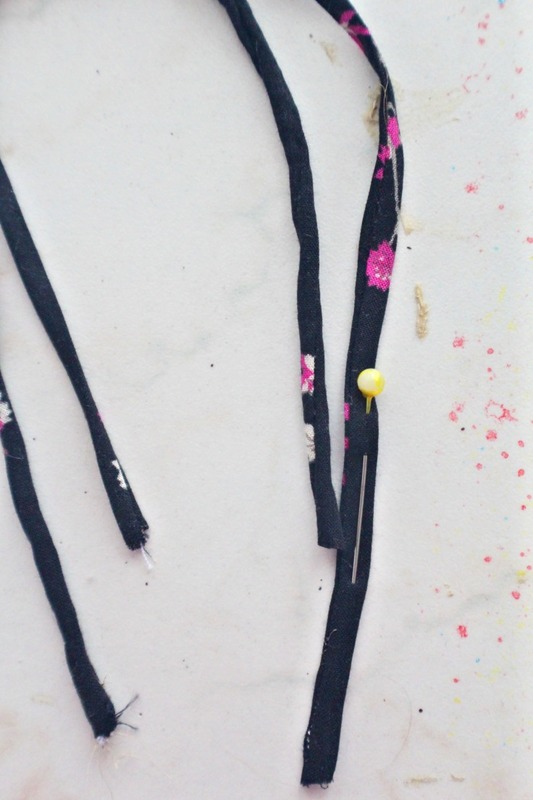 Here’s how to make spaghetti straps through the easiest method! Ever wondered how to make spaghetti straps? 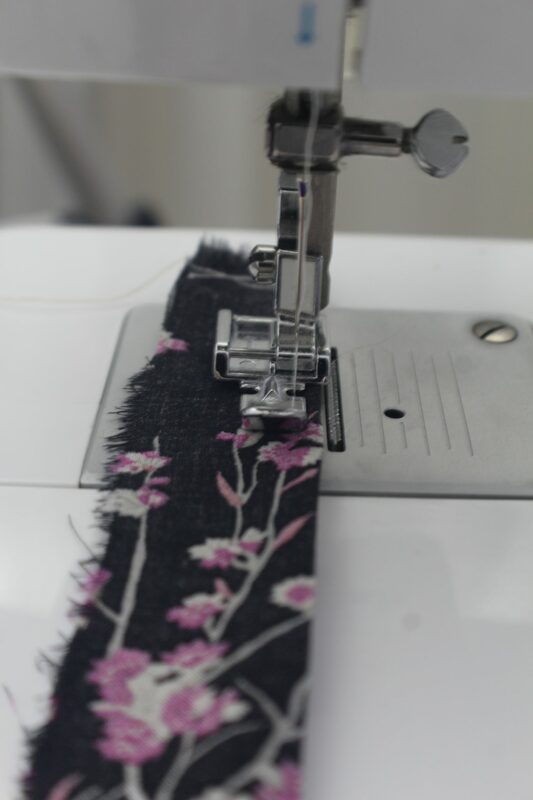 If you like sewing blouses or dresses you’ve probably admired those thin straps we see on store bought garments and dreamed about making your own one day! Well, making your dream come true is closer than you thought because I’ve got just the perfect method for those super narrow spaghetti straps! 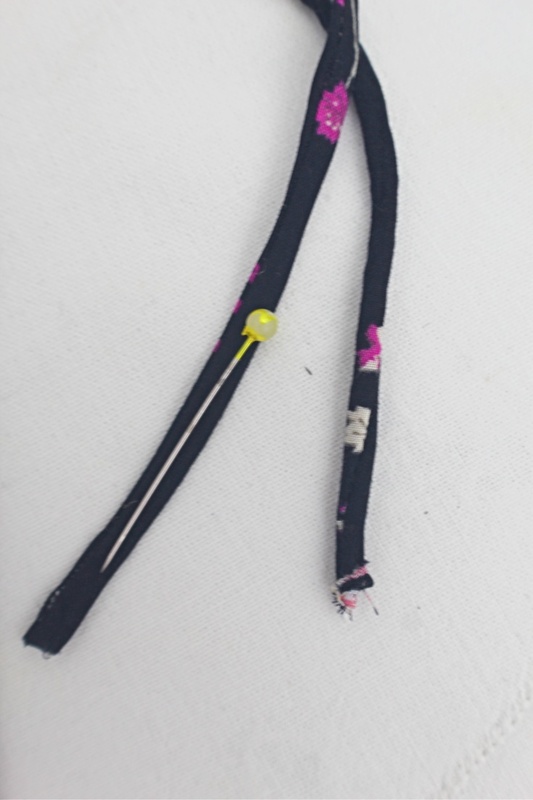 I showed you how to turn narrow tubes right side out before and now it’s time to learn how to make spaghetti straps which are the tiniest of all the tiny tubes! Fair enough, this method is not as quick as the one I just mentioned and it requires just a little bit of patience for the first inch when making the first inch or so of the rouleau straps. But it”s worth every bit of effort! 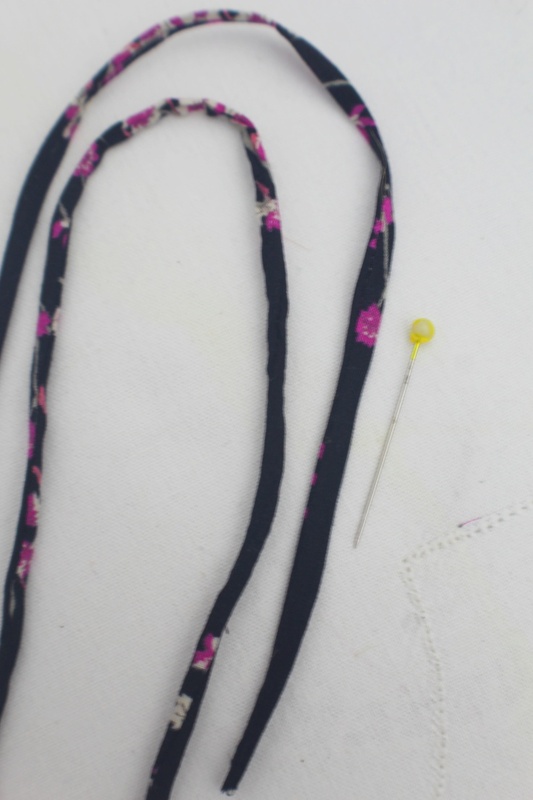 Learning how to make spaghetti straps this way will not only give you the tiniest straps you can think of but it will make these thin straps look neat and with a clean finish. 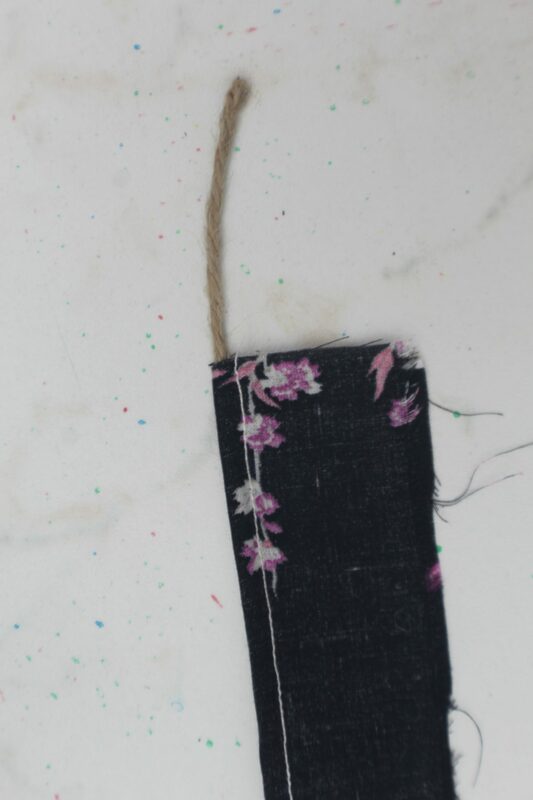 These straps will then make your handmade projects look just like professional garments we see in shops so no one will ever know you actually made that piece of garment! So if you’re ready to elevate your homemade garments from plain and ordinary to stunning and professional with just one small touch, learning how to make spaghetti straps is the way to go! 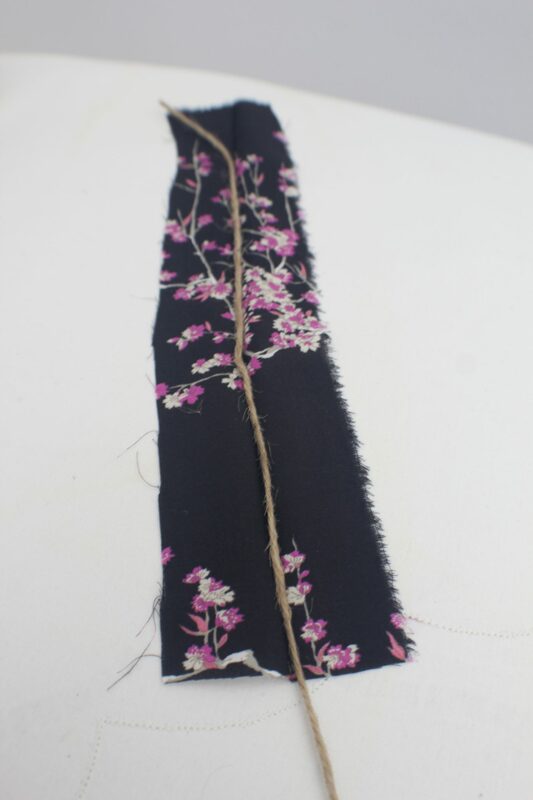 fabric strips in the length you need your straps and of about 1″ wide. 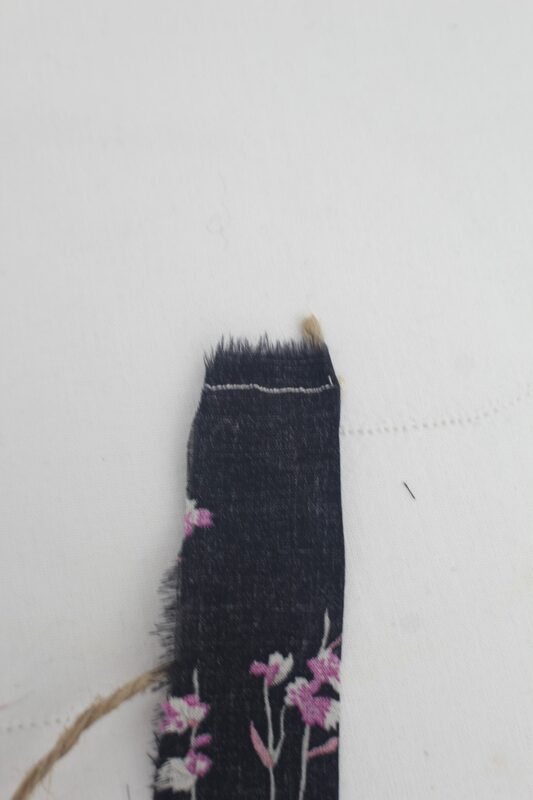 Fold your fabric strip in half, wrong side out. Press well with your iron on steam to form a sharp edge on the fold. Place the twine cord right on the fold, leaving one end to peak out just a bit. The other end should hang outside the strip at least 1″. Pin the twine cord to the fabric on the end where the twine peaks out just a bit. Sew perpendicularly to the twine cording, thus trapping the cording. 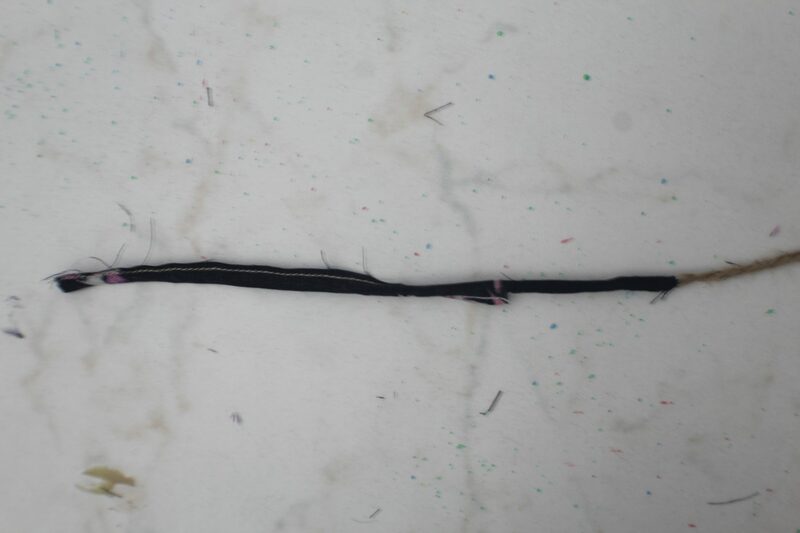 Use a small stitch to make sure the cording is tightly secured inside the fabric strip. Place the folded strip under the foot lengthwise, with the twine trapped in the fold. Hold the twine so that it lays flat and straight inside the fabric strip. The tip of the zipper foot should press the twine against the fold so there’s no more room between the cording and the fabric. 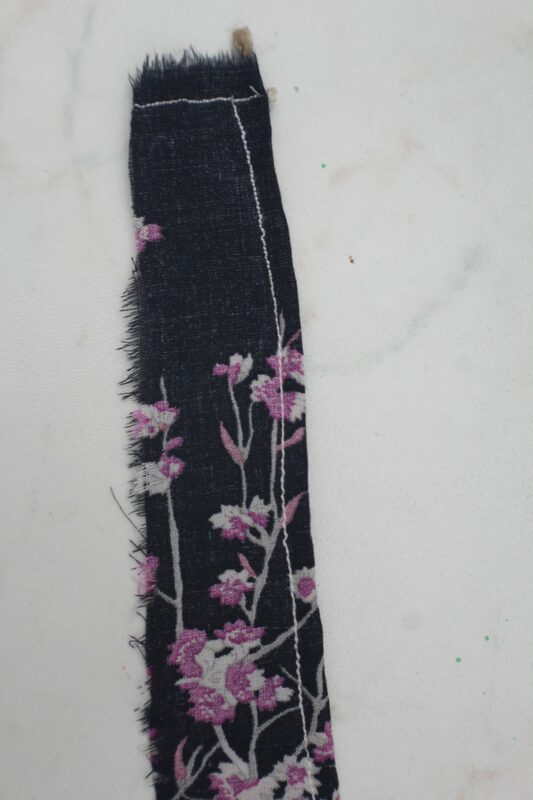 Sew down along the twine cord to the other end of the fabric strip. 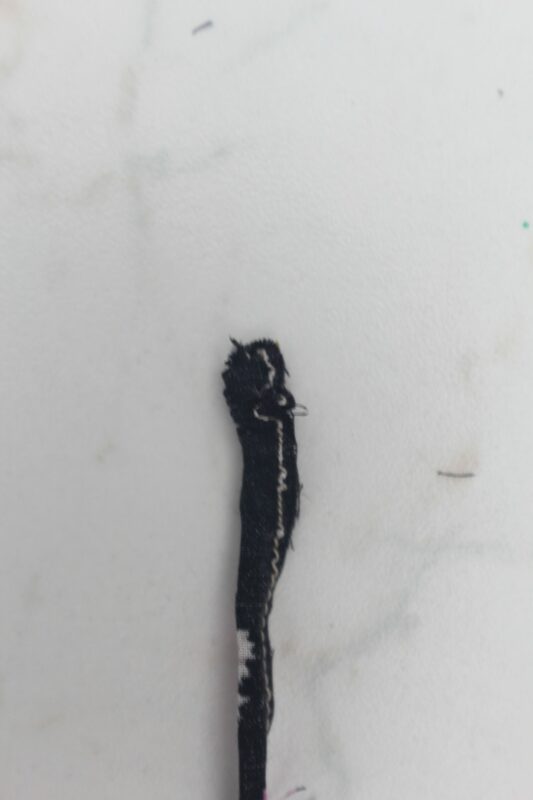 Remove the strip and go back to the end of the strip where the twine is barely peaking out. Trim the strip diagonally first then trim the seam where the twine is peaking out. From this point on, the small tail of the twine will not peak out anymore but I’ll just refer to it as if it still does, for ease of reference. Continue trimming the seam along the twine cording as close to the seam as you can. With one hand grab one end of the twine (with the long tail) and with the other hand grab the opposite end (the one with the small twine tail). 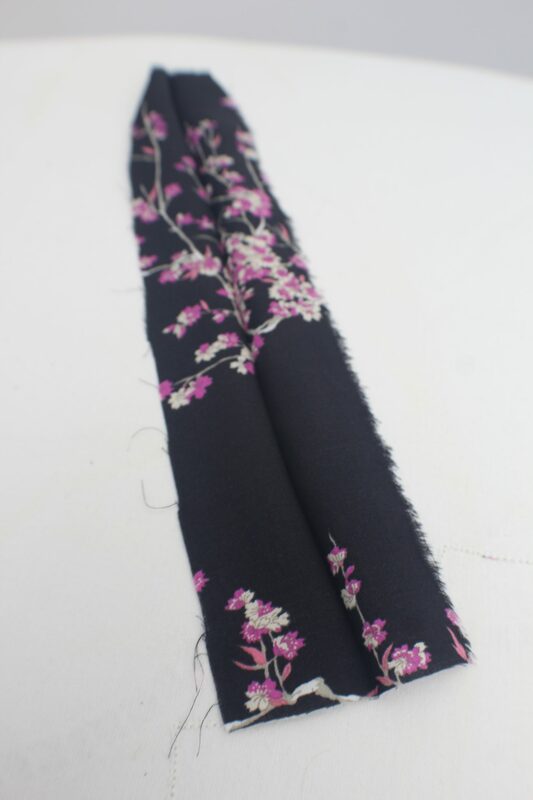 Pull the long tail just a little bit while holding the fabric at the opposite end (the one with the small tail). 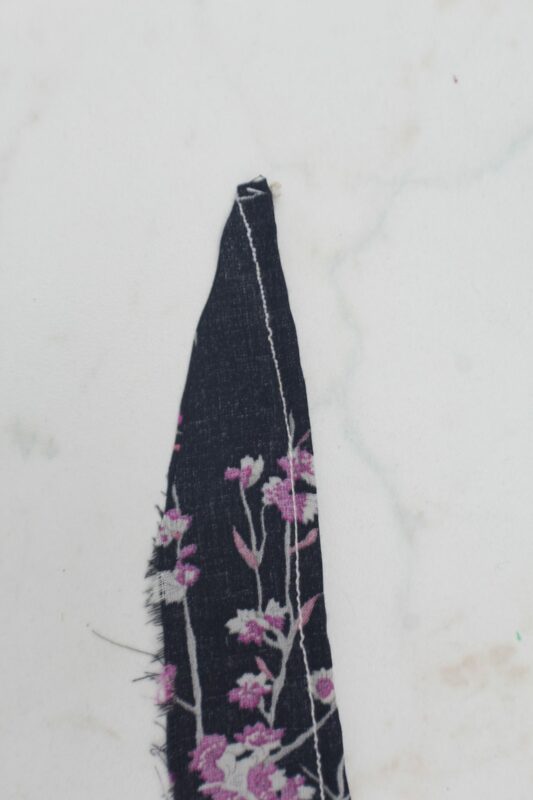 The fabric will tend to gather at the small tail end. You are aiming for pushing the small tail twine inside the fabric tube. This will prove to be a bit difficult with just this method alone so you need to push the small tail in with the help of a blunt tool such as a bamboo skewer. 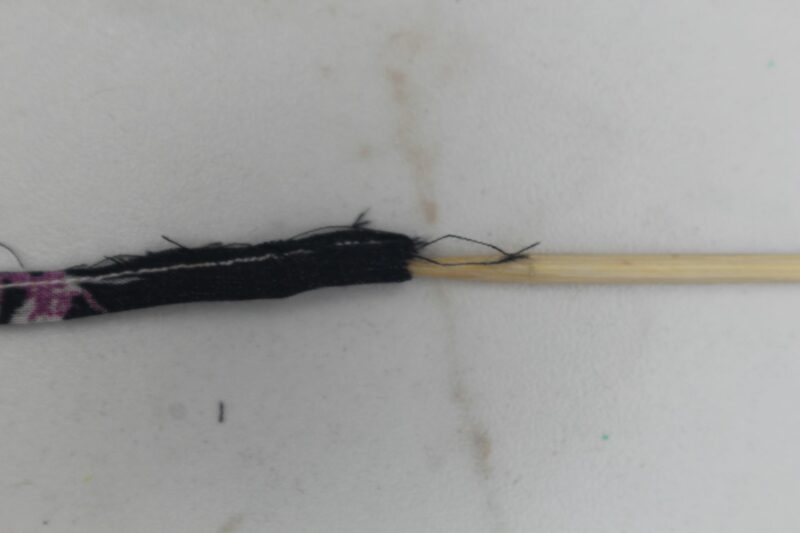 While pushing the tail with the skewer you need to force the fabric a little to roll over the skewer, using your nails. Once the tail has passed the first 1/4″-1/2″ of the tube, turning the straps out is nothing but a breeze. 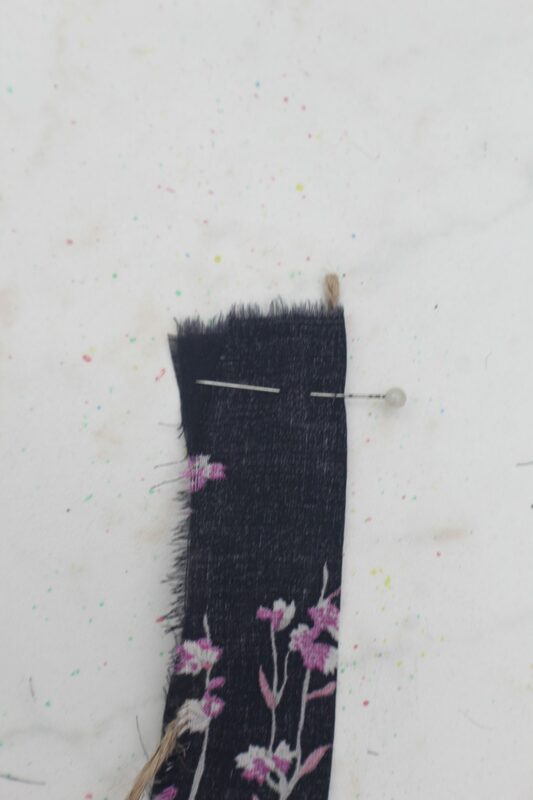 Keep pulling the long tail with one hand while pulling the fabric with the other hand on the opposite end. 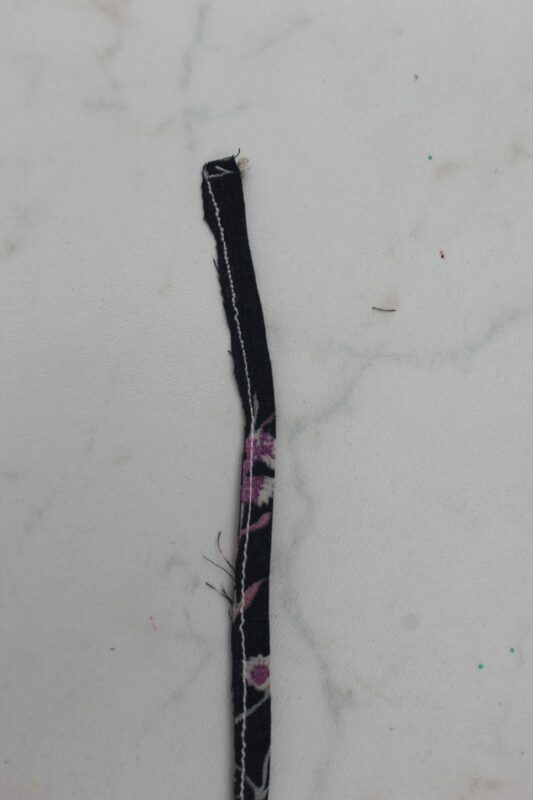 When the strap is completely turned inside out, snip the sewn end to remove the twine cording. Using your fingers, smooth out the seam. Press with your iron on steam and your spaghetti straps are done! If you liked this tutorial I would love to know your thoughts in the comments below. And please don’t forget to rate it! Thanks!